Douglas County Libraries elevates our community by inspiring a love of reading, discovery and connection. "Our patrons have high expectations of their library district, and we aim to meet those expectations by providing exceptional library experiences through our signature events, beautiful facilities, contemporary technology, and expansive collections." Bob Pasicznyuk reunited with Douglas County Libraries in 2014 after a five-year hiatus leading the Cedar Rapids Public Library in a time of rapid change and rebuilding. Previously, Bob managed projects and technology efforts in libraries at Douglas County, Pikes Peak Library District, and the University of Colorado. He has an M.S. in Library Science and Certificate of Advanced Study in Information Science from the University of North Texas. "Our libraries are more than just learning hubs, they’re the centers of our community. Douglas County Libraries brings the community together, inside and outside our beautiful buildings, with excellent public resources and educational, engaging and entertaining events for all patrons." Amber DeBerry joined Douglas County Libraries in May of 2011. Previously, she was Senior Vice President of Revenue Operations for The Wildlife Experience and in the marketing department of the Denver Zoological Foundation. She has a B.S. in Journalism with a minor in Business from the University of Colorado at Boulder. Over the years, she has been a member of various marketing and foundation committees. At Douglas County Libraries, Amber oversees Community Relations, District Programming, and the Douglas County Libraries Foundation. "Our libraries, including new, larger branches in Castle Pines, Lone Tree and Parker, allow us to serve patrons in fresh and fun ways. Staff, amenities and materials in all our locations facilitate meeting, studying and learning. Douglas County Libraries truly is building community. I often think I have the best job in the whole world!" Sheila Kerber has been with Douglas County Libraries since 2007. 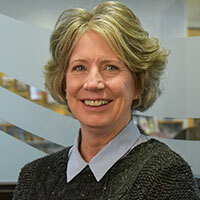 Previously, she worked for the Library of Congress, the University of Dayton, and the Arapahoe Library District before coming to Douglas County Libraries. 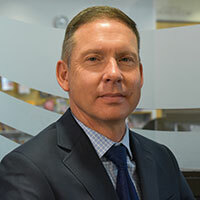 Kerber provides the professional leadership to coordinate and supervise all aspects of branch operations, in addition to providing supervisory support to the District's Branch Manager Team and our Business Librarian. She has a B.A. in English Literature and a Master of Library and Information Science. "Douglas County Libraries’ administrative team takes a thoughtful, forward-looking approach to providing premium library experiences for our guests. All of our strategic plans and goals are designed with the patron top of mind." Patti Owen-DeLay has rejoined Douglas County Libraries after an absence of seven years. During her absence she became a Professional Certified Coach and led coach training programs in the United States and Canada. Recently, she returned to libraries, working for Arapahoe Library District. Back at Douglas County Libraries, she is again Executive Administrator. "Technology is best when it helps, not hinders. At Douglas County Libraries, we strive to give visitors a seamless technology experience — whether they’re using the audiovisual equipment in meeting rooms, public Wi-Fi, print/copy services, public computers, laptop vending, or simply the self-checkouts. We want to exceed patron expectations." Jeff Konishi joined Douglas County Libraries after acting as IT Director for several public sector organizations, including the City of Amarillo and the City of Englewood. His previous experience also includes project management, programming and business analysis, plus various accounting, auditing and budgeting positions. Jeff has a B.S. in Accounting from the University of Northern Colorado and a Masters in Computer Information Systems from the University of Denver. At Douglas County Libraries, Jeff leads the IT team and associated technology endeavors. "It’s our privilege in HR to support the dedicated DCL staff who so passionately strive to create a vibrant learning environment and exceptional experiences for every child, teen and adult they serve." April Durham joined Douglas County Libraries in 2017 with more than 20 years of progressive experience in human resources management. Ms. Durham oversees management of the Human Resources, Volunteer Services, and Learning & Development Departments. She holds a B.B.A. in Business Administration from Pacific Lutheran University and a J.D. from the University of Arkansas School of Law (Fayetteville). "Douglas County Libraries is committed to utilizing the resources provided by the taxpayers of Douglas County in a responsible and disciplined manner. Our overarching goal is to protect and enhance the library services and facilities that have become a vital part of life in Douglas County." 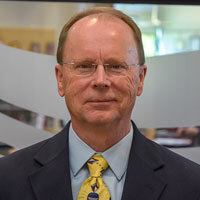 David Anderson joined Douglas County Libraries in September 2018. Previously, he served as Chief Financial Officer at CHB Capital Partners. Prior to that David was an independent financial consultant and also worked in mid- to senior-level financial management positions in the capital equipment finance industry. Dave graduated with Departmental honors from the University of Wisconsin-Milwaukee with a bachelor’s degree in accounting. He has been a licensed CPA since 1981.